Haakon is going (13-15th), but MM has no events at all this month. She's probably off somewhere skiing or lying on the beach. More from the most successful day i Norwegian olympics history.3 golds, 2 silver 1 bronze. 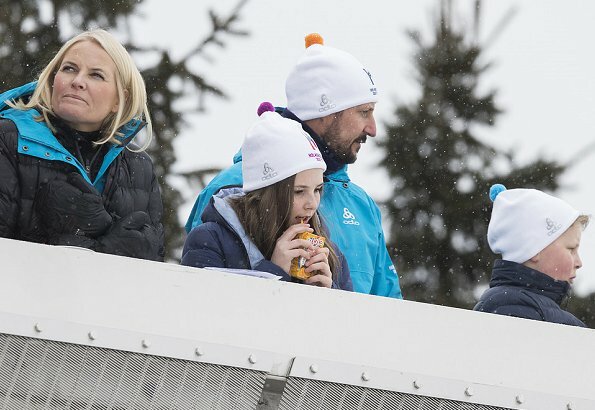 I would love to go to the Holmenkollen event. It always looks like such fun. And, from the photos, it's pretty clear the entire NRF had a great time. 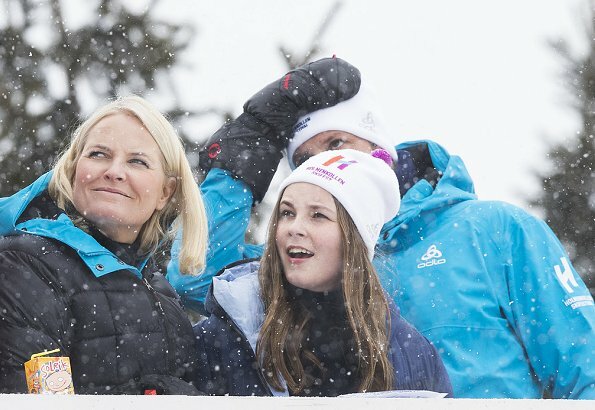 (And, as usual, Mette-Marit always looks her best in sports clothing). IT seems there are no lies or anything printed that is untrue. Had Marius Chosen to go into the military for a year and then Get a boring education like teacher, ingeneer, medic or whatever less attention would have been payed to him, but hobnobbing around Hollywood or trying to make it As a designer is of course interesting for the press. Wasn't she on sick leave because of a mysterious surgery? It looks like she found time to fly away to Mexico. Seriously, she makes it so hard to root for her. MM look so pretty in the last picture. My older sister has had three kids and this is pretty much how she looks. This is pretty normal, I'd say. Not everyone feels the need to be super thin, partake in unhealthy dieting, and work out 24/7.